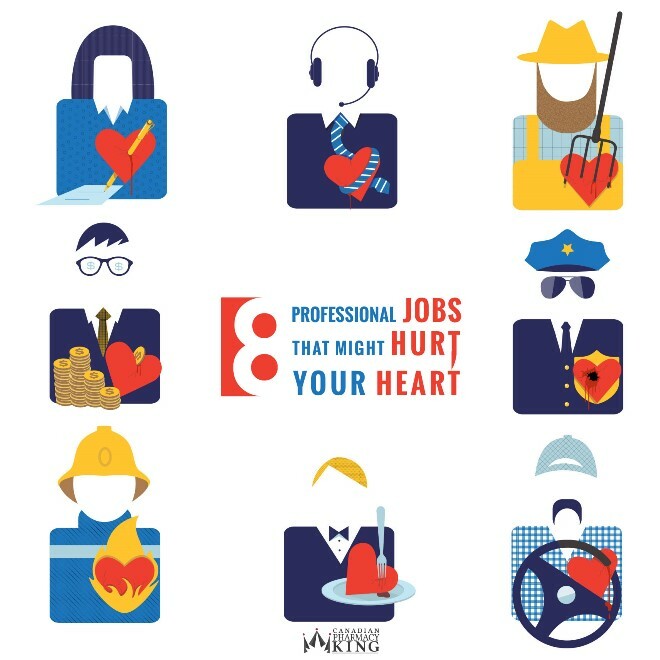 Home | Blog | Is Your Job Hurting Your Heart? << What is the Big Deal About GMOs? •	Salespeople. 68% having poor eating habits and 69% high cholesterol level. •	Administrative support staff. People of this profession usually do not have enough of physical exercise. •	Police officers. Despite of having fitness standards in many police departments, it is not uncommon that there are officers who are obese or overweight. •	Firefighters. 77% have high cholesterol and 35% have high blood pressure. •	Transportation/material movers. Nearly a quarter of people in this profession smoke. •	Restaurant workers. About 79% have poor diets. •	Finance and business people. Majority of them have poor eating habits and do not take enough of exercise. •	Farmers. Despite of physical strength of people of this profession, their eating habits can be very poor. Simple steps can be taken to prevent the danger of having heart problems. Take regular healthy meals, take stairs, rather than lift and take a short (about 30 minutes) but daily walks.